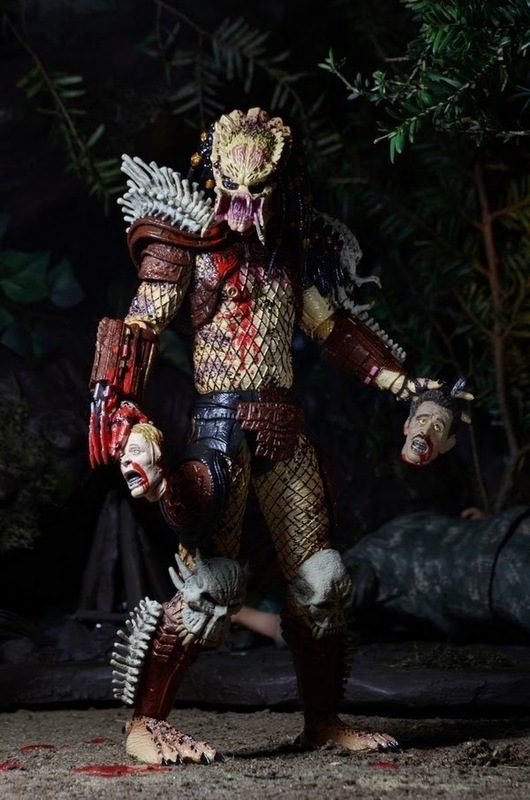 Here's a look at NECA's photo shoot for their upcoming "Bad Blood" Predator. 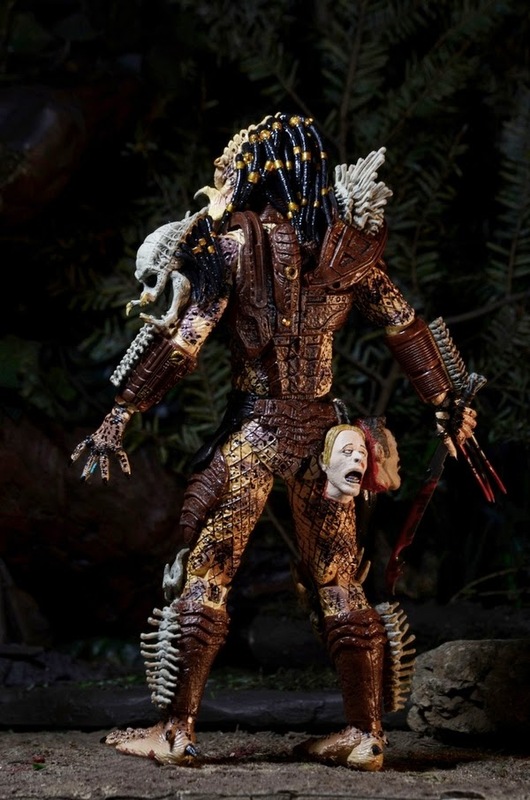 This figure was originally slated to be a part of the next Predator wave, but NECA realized that in order to do this figure justice that it needed to be a "deluxe" figure and it's own, single release. 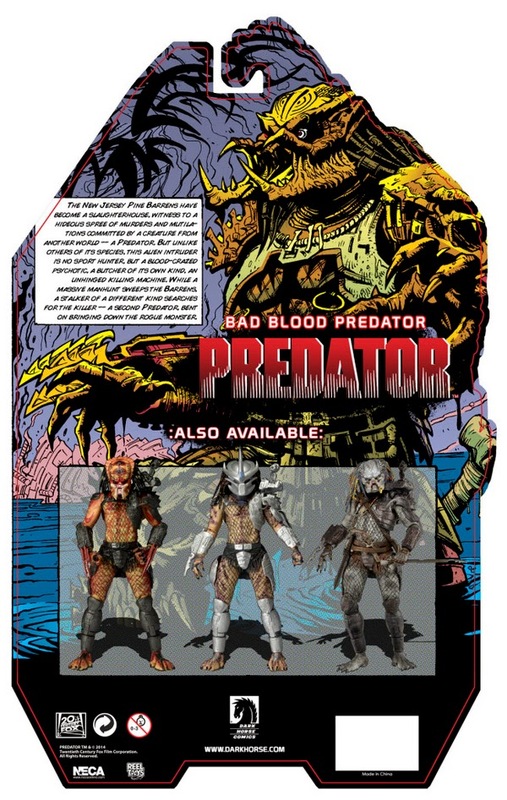 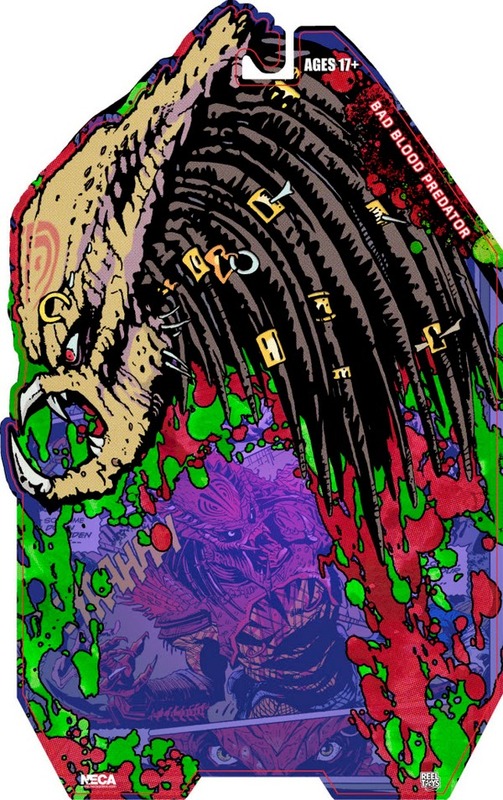 It will have more paint apps than any other previous Predator figure. 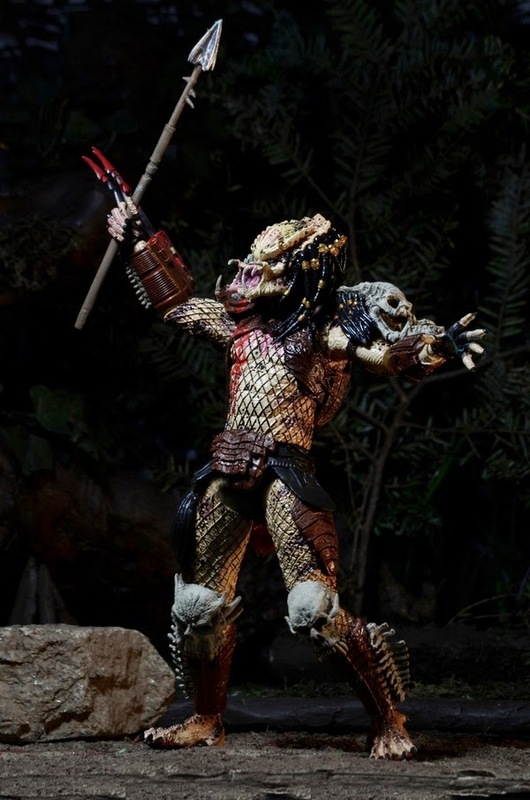 It will also include many new parts and accessories.The carback will also feature special "foil" packaging. 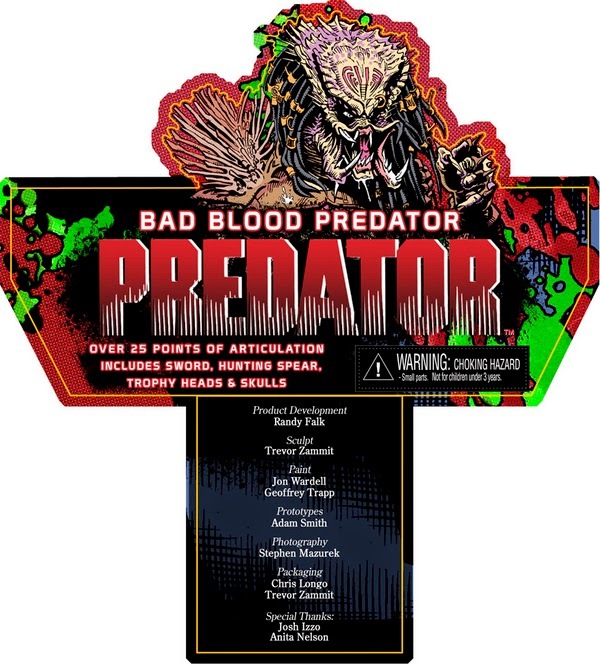 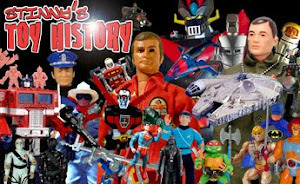 Because of these, the figure will have a higher price point than the standard Predator figure. 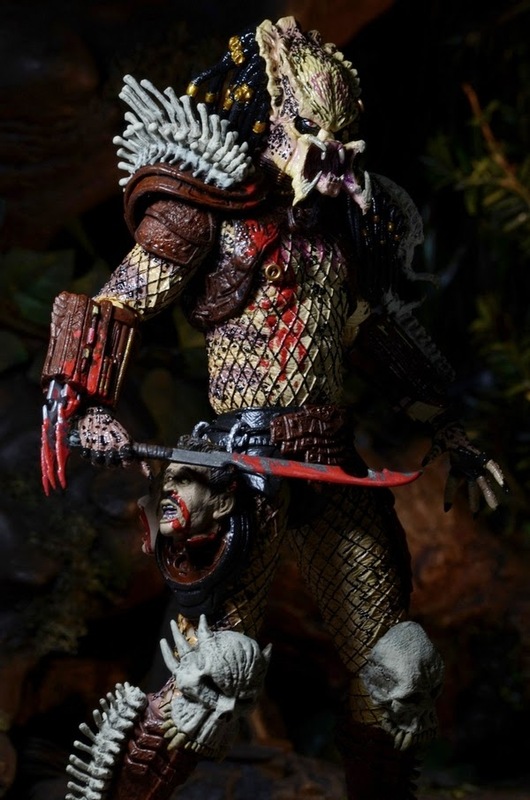 It was slated for an August release, but it has yet to appear on NECA's official release schedule for either this month or next, so it's still uncertain as to when we'll see this figure. 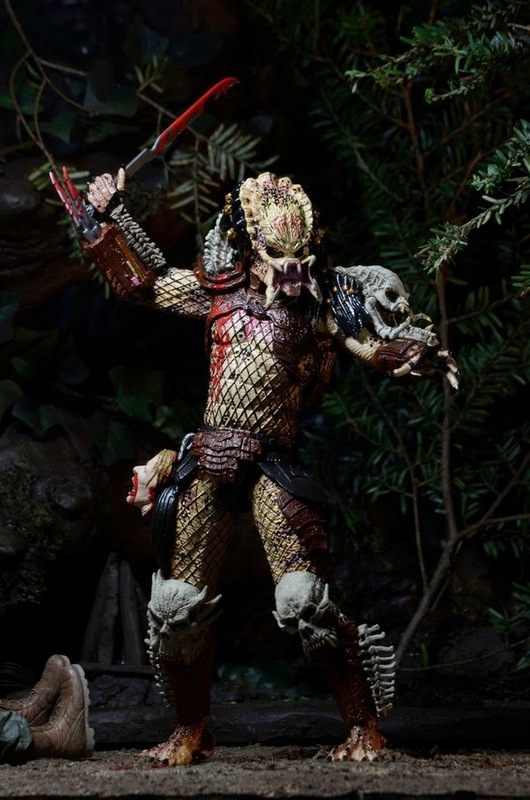 The price will be between $24.99 and $29.99, depending on where you purchase him.